What Are Professional Pet Sitters? Professional pet sitters are pet lovers. We are the people who are committed to giving you options in pet care choices. Customer can now choose what is right for you, your family, and your pets. Meet with your pet sitter and go over your expectations for an in-home sitter. Let them explain what their services include and what they expect from you. Then let the pet sitter interact with your pets. Finally, check references and verify qualifications. Add it all up and decide if in-home pet sitting might be the right choice for you. Remember on that first visit the pet sitter representative is still a stranger to your pet, so there will be a short period where you and your pet need time to get acquainted with this new person. It may take a few days before your pet becomes accustomed to a new caretaker. Even if it is only a once-in-a while arrangement, professional pet sitters know that a few extra minutes on those first visits with your pet will earn them a friend for life. Seeing this, customers will refer them to other potential pet “parents” as a responsible, personable, and reliable in-home pet sitter. You may want to meet with your sitter after the first vacation away from your pet. 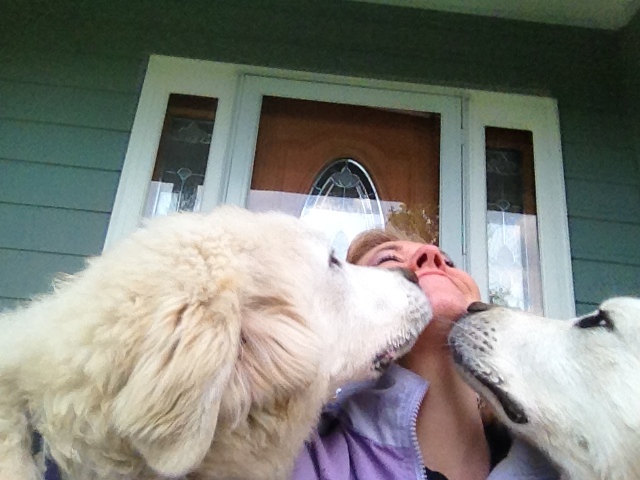 Watch to see how your pet(s) greet the sitter when you have come back from your trip. Like toddler “day care” it is advisable to watch your pet to see if there may have been any issues while you were gone that may necessitate a different pet sitter. Each animal is different, and you want the best for your pets. If there are you may want to consider another sitter. as pets, like people have a personal preference. Our Manager is a BONDED and INSURED, non-smoking, and proactive multi-certified Pet Care Professional with over 15 years of PAID pet care experience, available client and industry references, continuing ongoing pet care training, and an ADDITIONAL yearly 3rd party background check. © 2005 - 2019 Choices Pet Sitters | All rights reserved.